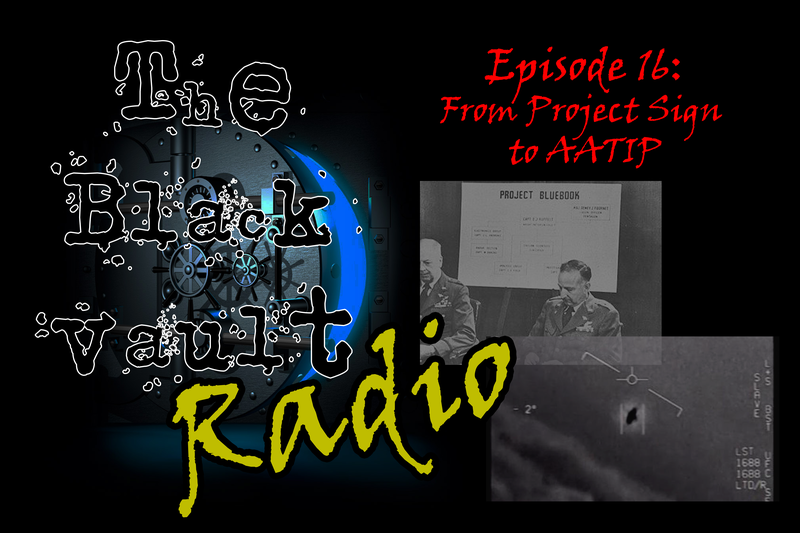 On Episode #16 of The Black Vault Radio, I explore the most recent media headlines about a “Secret Pentagon UFO Study” and how it fits into the larger narrative of UFO research history. I explore the history behind the U.S. Military and Government’s UFO research programs… beginning in the late 1940s and I’ll take through today’s revelation known as AATIP. What’s real? What’s fiction? And what may be an outright lie?